Does the thought of a great evening involve wine and chocolate? Or is a wonderful dark beer more your style? The Palouse region offers five wineries, four breweries and a hard cider house all withing 30 minutes! Grab a few friends and take a and take a chauffeured wine tour or taste the different lagers and ales brought to you from our local brewers. If you have a sweet tooth, a Grabber from Ferdinands will freeze your tastebuds, while Cowgirl Chocolates has every kind of chocolate available - including spicy! 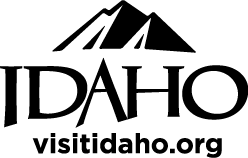 Idaho's oldest independent winery, this is a great place to stop by the tasting room to enjoy a sampling of Camas' 24 wines. And if wine is not your style, they offer the largest selection of imported specialty beers in the Northwest. Few know the Clearwater River Valley was once home to a prosperous grape and wine industry, until Prohibition in the early 1900s, leaving one to wonder what might have been. This is a great place to visit and enjoy a glass of wine! Come check out the newest brewery in the Palouse! It is not about quantity but quality. “Taste our Commitment” is Lindsay Creek Vineyards’ motto. It expresses our dedication to produce premium wine, open space, music and good times! This brewpub is a place where you’ll find a gastropub menu, an extensive wine list, homebrew supplies, wine and bottled specialty beers they brew directly below the restaurant. A crafter brewery and family friendly grill with their menu featuring both small and big eats! Each day of the week there is a different event going on, so there is always something fun to do! Find out what beer was meant to taste like, using only the finest grains, hops and water. Great atmosphere in the tap room. Caters to beer novices and enthusiasts seeking something new in beer experience and beer knowledge. If you can dream it, they can make it happen! Colorful ice cream parlor chain known for its many flavors plus sorbet and yogurt. Features a delicious range of cookies! Chocolate chip to Gluten-Free Almond Coconut, there is a cookie for everyone here!